This duo includes Untold and Ruthless, which are perfect reds for the holidays. You save £6 by buying them together. 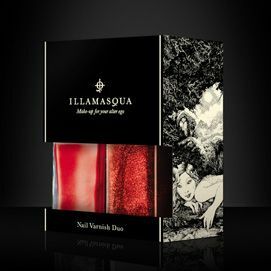 The set retails on the Illamasqua website for £20 (plus S&H;). 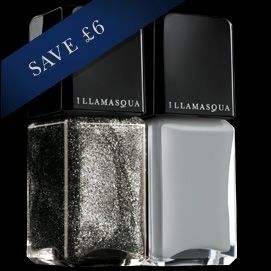 This duo includes Harsh and DWS, which are two more great shades for the holidays… again by buying them together, you save £6. 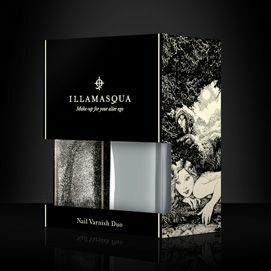 The set retails on the Illamasqua website for £20 (plus S&H;). 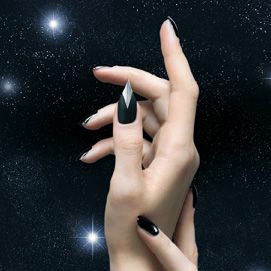 And while we’re on an Illamasqua love fest, I figured I’d share with you the new hit nail product from them, nail quills! They were inspired by pen quills and they’re really and truly unique. 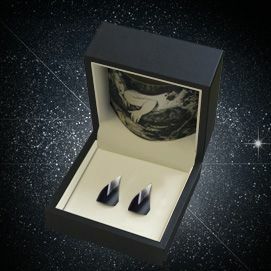 They’re hand made and only available for a limited time, so for £35 (plus S&H;), they’re well worth it. I’m pretty sure that these are available internationally on the website, but you should double check to see if they ship to you before you place an order. 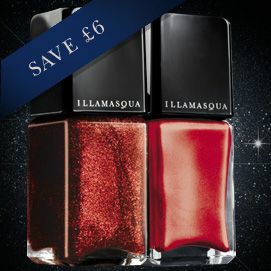 This entry was posted in Press Releases and tagged Illamasqua by Tara. Bookmark the permalink.